Los Angeles, Calif. (June 6, 2013) – The Metamoris Pro Jiu Jitsu Invitational II, taking place June 9, live from L.A.’s historic Pauley Pavilion, will feature some of the best jiu-jitsu black belts in the world competing in a series of grappling superfights. The objective in Metamoris is simple: submit your opponent. Each Metamoris match lasts a single 20-minute round. There are no points awarded for position or advantage. 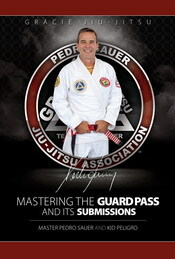 Should neither combatant win by submission, a panel of three judges will decide a winner or rule a draw. Reigning DREAM and ONE FC lightweight champion and Japanese superstar Shinya Aoki will face third-generation member of the Gracie clan, Kron Gracie in a no-gi match. The bout serves as a third installment of a rivalry between the Gracie family and Japanese grapplers that dates back to the 1951 challenge match between Masahiko Kimura and Helio Gracie, and the 1995 Vale Tudo Japan fight between Yuki Nakai and Rickson Gracie. Four-time No-Gi World Champion and Abu Dhabi finalist Roberto “Cyborg” Abreu will face current UFC heavyweight and finalist on The Ultimate Fighter Brendan “The Hybrid” Schaub. Both men will make their Metamoris debut in this no-gi match. The 19 gold medals Andre Galvao has earned in competition since 2004 include a double gold at the 2011 ADCC. He will face fellow Metamoris veteran and eight-time gold medalist in international competition, and the second American to win the Brazilian National Jiu-Jitsu Championship as a black belt, Rafael Lovato Jr.
Gracie Barra’s Braulio Estima has dominated European competition for years fighting out of Birmingham, England. 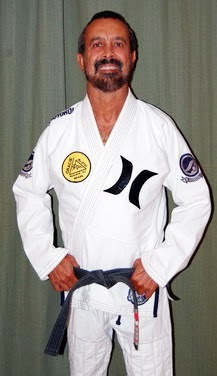 In 2009 he scored an ADCC double gold to pad his trophy case. His opponent, Rodolfo “The Black Belt Hunter” Vieira has notched 15 golds in international competition. The first-ever female match in Metamoris history pits Michelle Nicolini, fighting out of Checkmat / Team Cavaca in Sao Paulo, Brazil against the young upstart Mackenzie Dern, representing Gracie Humaita / Team Megaton out of Phoenix, Arizona. The pair have met in competition before but this will be the first time they fight without the traditional points system in place. Jonathan “JT” Torres, also known as "The Spiderman" for his incredible grip strength, is a Pan American Nogi Champion at the black belt level. The Team Atos prodigy will face Victor Estima, a two-time gold medalist in international competition. The Metamoris Pro Jiu Jitsu Invitational II will be broadcast live via pay-per-view for $19.95 through metamoris.com on Sunday, June 9 at 7pm / 4 pm ET/PT. Tickets are available now for purchase through Ticketmaster. 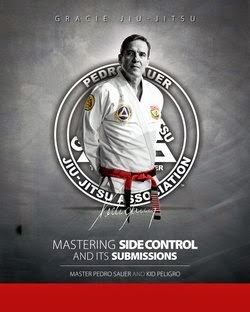 For more information go to www.metamoris.com. Founded in 2012 by Ralek Gracie, Metamoris celebrates, honors and preserves the art of Brazilian Jiu Jitsu through promoting tournaments featuring the world’s elite practitioners competing in a unique format that encourages submissions instead of points. Metamoris produces a live event atmosphere and pay- per-view experience without peer in the world of grappling tournaments.